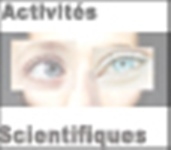 SPHYNX, created in January 2012, consists of 18 permanent researchers, engineers and technicians from CEA and CNRS. Our active research efforts encompass a wealth of multidisciplinary characters; theoretical, numerical and experimental, to studyphysical systems that are far from equilibrium. Statistical physics of equilibrium systems provides today a well-established framework for classical thermodynamics. However, most 'real world' systems found in condensed matter, biology, natural or industrial macrocosms are out-of-equilibrium, either because of the presence of external forcing or because they cannot relax back to equilibrium. These systems are often non-linear, disordered and/or complex and present emerging properties of their own. Postdoc/PhD/Intern opportunities 2014-2015 : RESEARCH OPPORTUNITIES at SPHYNX At SPHYNX, we continuously propose Post-Doctoral, PhD thesis and Internship (masters and undergraduate) opportunities.